Experiencing a tremendous growth in student enrollment, Fort Valley State University’s mission is to maintain the highest academic standards and keep pace with facility and programming needs to promote good health, wellness, and personal development. 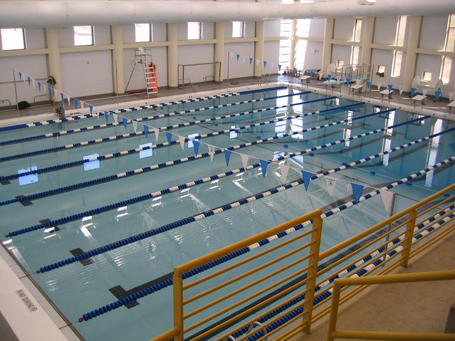 The aquatic center, designed to capture competition programming activities, consists of a 25-yard swimming pool with eight lap/fitness lanes. Through responsive planning and innovative use of materials and color, all while working within a limited budget, the design encourages and exemplifies the unique educational approach of the school. The Physical Education Center also houses classrooms, seminar, conference rooms, laboratories, a 5,000-seat arena, courts for basketball, badminton and an indoor walking track.